Folk songs girls is a next generation vocal & dance group consisting of folk song members learning folk songs, girls members who are good at singing and dancing. In order to spread the "folk songs girls" boom in Japan, I am working to spread Japanese culture around the world. ★ mini album "folk song girls" popularly on sale !! ★ Mini Album "Folk Song Girls IV" popularly on sale !! ★ First Single CD "Kirari ☆ Dreams Head"
【First Press Limited Edition】 【Folkboard】 【Girls Edition】 Now on sale !! ★ Second Single CD "Mirai"
【Minkaku Board】 【Folkboard】 【Girls Edition】 Now on sale !! When you press a photo, the individual page is displayed. 2018/06/27 "Kirari ☆ Dream Doha"
※ sold out with popularity! 4. Are you a demon? 2019/04/21 NEW"Mingo girls new single" Mirai "release memory mini live & bonus meeting @ Aeon Sugano appearance decision! 2019/04/28 NEWFolk Music Girls · One Man Live "Fiery Performance ~ 9 Chapter ~" held decision! · Member handwritten "Minka Newspaper", "Questionnaire"
2019/04/28 "Fighting spirit battle · serious (Maji) Live! Round 7 supported by UTANABI!" Held decision! ※ The release date of each play guide is scheduled around the end of 2 month. ☆ If you are looking for a folk song girls, give "a rare raw photo that you can only get here"! ☆ There is a collaboration corner by folk songs girls and starring artists! 2019/04/30 NEW"Mini song girls new single" Mirai "release memory mini live & privilege meeting @ Eas Takao" appearance decision! 2019/05/03 NEW"6 Spring Atami Beer Festival" appearance decision! 2019/05/04 Folk Song Girls x Aeon Town Kamisato "Regular Live Live!" Decided to appear! 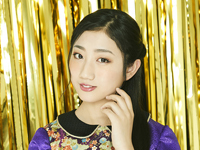 2019/05/06 NEW"Folk Song Girls New Single" Mirai "Release Memorial Mini Live & Reward @ @ Aeon Town Eucalyptus Hill" Appearance Decision! 2019/05/19 "Fighting spirit battle · serious (Maji) Live! Round 8 supported by UTANABI!" Held decision! 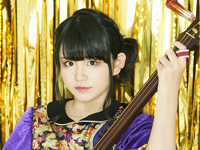 2019/05/26 Folk Music Girls · One Man Live "Fiery Performance ~ 10 Chapter ~" held decision! 2019/06/08 Folk Song Girls x Aeon Town Kamisato "Regular Live Live!" Decided to appear! 2019/06/22 "Fighting spirit battle · serious (Maji) Live! Round 9 supported by UTANABI!" Held decision! 2019/06/30 Folk Music Girls · One Man Live "Fiery Performance ~ 11 Chapter ~" held decision!